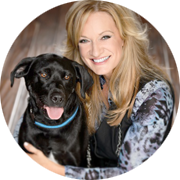 As a pet living expert, whether I’m reviewing a great new product, or telling an inspirational “tail” – I know pet parents seek content and connections with people who love pets as much as they do. So I create watchable, sharable, fun content for Pet Parents and Pet-Positive Companies and promote engagement across multiple media channels. Feeling happier, healing faster and living healthier with pets – is a message I want to help get out into the world. I especially love sharing weekly videos about living happier and healthier with pets. It’s funny when I look back at how this people-pet connection first started for me. I was working for the SPCA, advocating for pet adoption and pet lifestyle. I knew those pets needed us. Now I know we need pets just as much. If I can help businesses, to help people, to help pets, then that’s more than work to me – that’s living. Sign Up For The FREE Expert Interview Series Today!